Mineral face powder might be your solution if you want a silky, even skin tone. 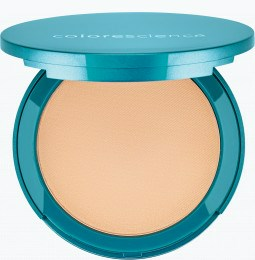 Maintain a natural appearance and fill fine lines with mineral face powder from Colorescience. Is Mineral Face Powder Good For My Skin? Say hello to makeup face powder that’s good for your skin, because our mineral formulas are chock-full of benefits. Unlike those other brands, Colorescience mineral face powder is made from organic ingredients that soothe and nourish skin. Generic cosmetics tend to contain harmful ingredients that can dehydrate skin and cause inflammation. Mineral face powders, on the other hand, help absorb excess oil and eliminate shine without causing damage to your delicate complexion. The ingredients in our mineral makeup buff on matte with a radiant finish. The ultra-fine minerals in our line of cosmetics are non-comedogenic and help maintain a soft, silky complexion without clogging your pores. Now you can kick those acne concerns to the curb once and for all! Layer our mineral powder over our hypoallergenic primer for face to achieve fuller coverage. If you wear makeup every day, you should definitely invest in our makeup setting powder that gives you more from your wear by locking in your look and making it last all day long. Can Mineral Face Powder Protect My Skin From The Sun? Yes! Colorescience offers natural face powders with sunblock zinc oxide to help protect your skin from the sun’s harmful UV rays. 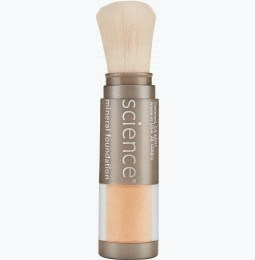 Our brush-on mineral powder comes in a lightweight, compact tube, so you can take your SPF makeup wherever you go. The pocket-sized powder is great for touch ups at home or at work, so your makeup stays fresh and your skin stays protected all day long. 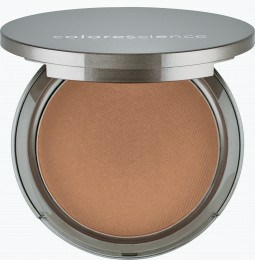 Apply your SPF over mineral face powder to achieve a flawless photo-finish. Don’t let the sun’s harmful UV rays wreak havoc on your complexion! 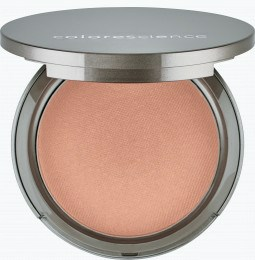 Enlist our mineral face powders for quick and simple skin protection that will slow aging and help prevent fine lines. Love this stuff. 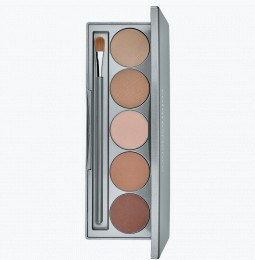 Great coverage, does not block pores and cause breakouts, and very natural looking. I hardly need any other coverage (concealers, etc) after using. Great product. Highly recommended. No other powder comes close. Absolutely the best powder I have ever used. Can be used alone as your foundation or also a perfect setting powder for liquid foundation.